Background: The lands that today comprise Croatia were part of the Austro-Hungarian Empire until the close of World War I. In 1918, the Croats, Serbs, and Slovenes formed a kingdom known after 1929 as Yugoslavia. Following World War II, Yugoslavia became a federal independent Communist state under the strong hand of Marshal Tito. Although Croatia declared its independence from Yugoslavia in 1991, it took four years of sporadic, but often bitter, fighting before occupying Serb armies were mostly cleared from Croatian lands. Under UN supervision, the last Serb-held enclave in eastern Slovenia was returned to Croatia in 1998. Overview: Before the dissolution of Yugoslavia, the Republic of Croatia, after Slovenia, was the most prosperous and industrialized area, with a per capita output perhaps one-third above the Yugoslav average. The economy emerged from its mild recession in 2000 with tourism the main factor, but massive structural unemployment remains a key negative element. The government's failure to press the economic reforms needed to spur growth is largely the result of coalition politics and public resistance, particularly from the trade unions. Opponents fear reforms would cut jobs, wages, and social benefits. The government has a heavy back log of civil cases, many involving tenure land. The country is likely to experience only moderate growth without disciplined fiscal and structural reform. Education starts at age 6 years. In grades 1-5 a 2nd language is taught. In 5th grade math and history are emphasized. In 7th grade chemistry and biology are taught. High school if split with professional (nurses, technical) and "serious" students who are prepped for college. The serious students learn language, science, math and art. The university was free under Communist rule. Now good grades will get free education, others must pay. Currently it's about 50% in each area (free and pay). Men retire at age 65 and women at age 60. 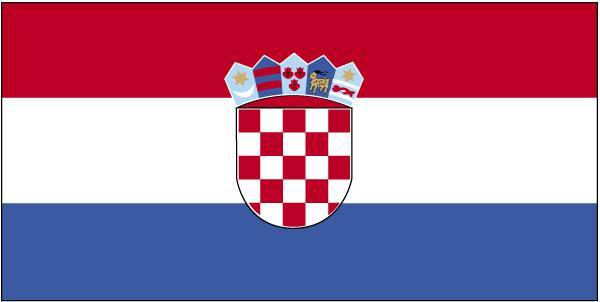 Croatia is a candidate for European Union admission in 2007-2009. There is national health insurance for all workers. There is paid maternity leave for 1 year.